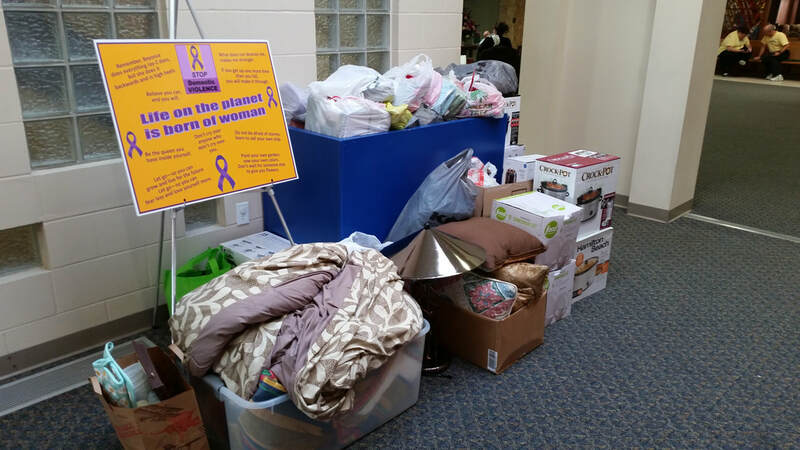 ​FreeStore provides household items and furniture free of charge to women who are referred by Iowa domestic violence services. To serve in this ministry, contact Marty Rathje. FreeStore collects gently used household items, such as dishes, small kitchen appliances, and furniture. The items are stored in our warehouse. Call 282-3733 to arrange for a pick-up. When a family is ready to move into more permanent housing, they come to the FreeStore and get enough furniture and household items to furnish their new housing. Join the FreeStore volunteers and help break the cycles of domestic violence and homelessness! 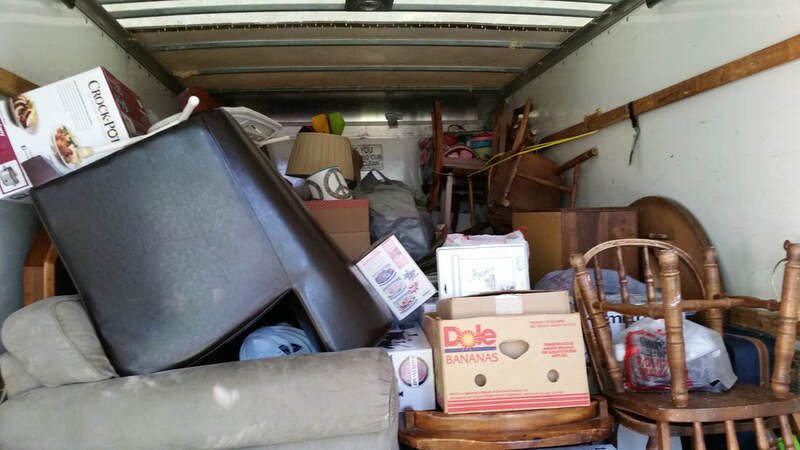 We load a FreeStore truck and then go to the client’s residence to unload the truck. Time commitment is 3-4 hours on the third Saturday of each month. 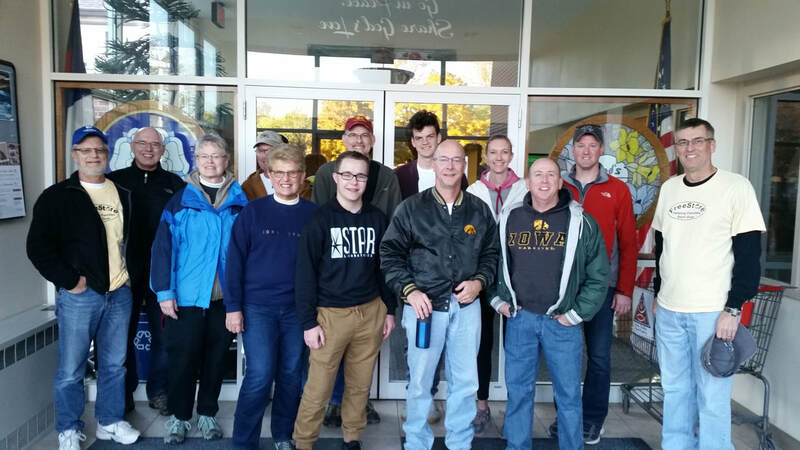 Other volunteer opportunities are available, ranging from helping sort goods in the warehouse to helping with pick-ups or helping with administrative duties. Volunteer delivery crew loading items in the truck. Bountiful items donated to the FreeStore. Items in the truck for delivery.